A cheesy mix of cheddar and parmesan that your pooch will love. 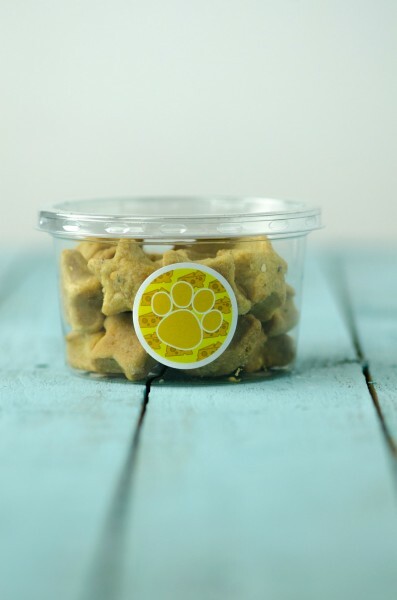 Paws for Cake dog treats are hand baked in Cornwall with all natural ingredients. The company started in 2011 when Tina and Pete (aka Mr and Mrs Paws) started home baking a variety of dog treats for their pooch, Nelly and had such a fantastic response from fellow dog owners.